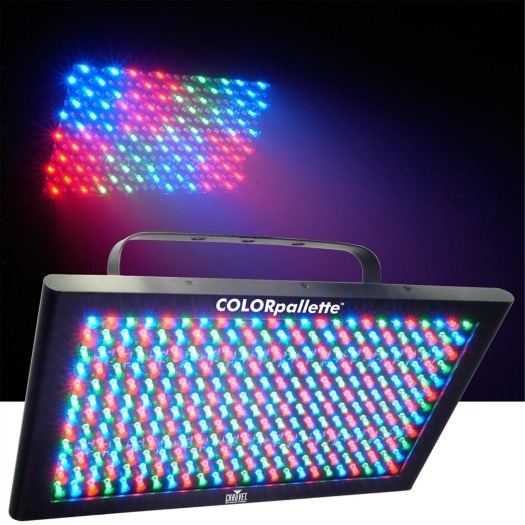 COLORpalette is a powerful wash panel fitted with 288 RGB LEDs to emit a wash or colorful effects during any mobile application. It includes built-in, automated and sound activated programs for plug-and-play operation, or you can create customized looks using 6, 9, 15 or 27 channels of DMX control. 16.75" x 9.75" x 7"